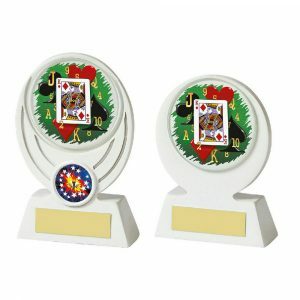 Choose from several dozen trophies ideal for bridge competitions, poker winners and many other card games. Challenge Trophies Online offers you a full house of trophies, cups and awards to suit all your requirements. 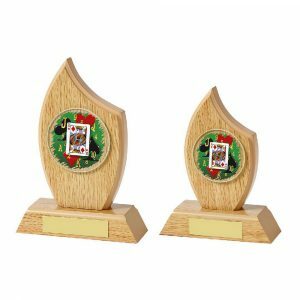 Cards, chips and a winning hand – all these and more feature on our range of poker trophies. 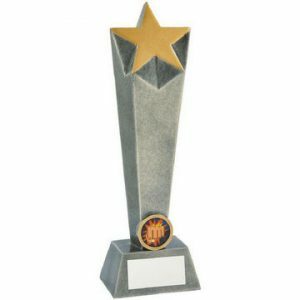 Mark an important event, the winning player or team or simply add the finishing touch to a local competition. 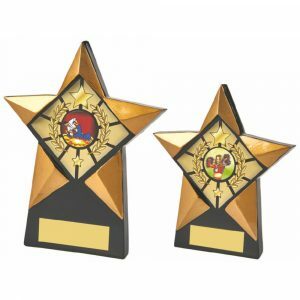 Recognise the hard work the organiser has put into a card-playing event too. 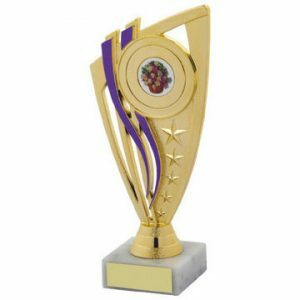 Whatever you have in mind, you can choose the right trophy, award or card cup to present them with. 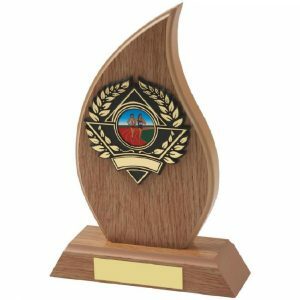 Challenge Trophies Online has more than just a good range of diverse designs too. 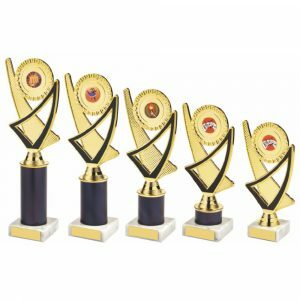 You can usually select one of a number of sizes of awards as well. 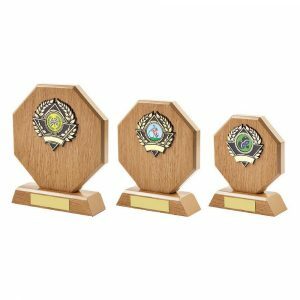 In some cases there can be as many as five different sizes to choose from. All you have to do is decide on the right size and price of poker trophy, and make your selection on our website. 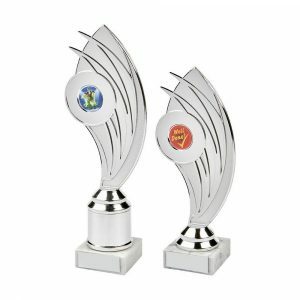 You can order with no engraving if you wish, but many of our customers tick the box to add personalisation at a small extra cost. This is clearly indicated on the item page. 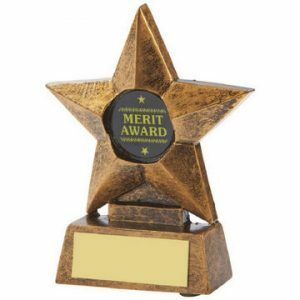 You’ll be directed to enter your engraving details on the second page when you select a trophy to buy. 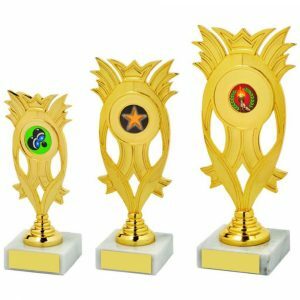 If you are ordering several awards or trophies to hand out at a card competition, you could alternatively enter all the information just prior to checking out. We’ll steer you through the process quite easily on our website. 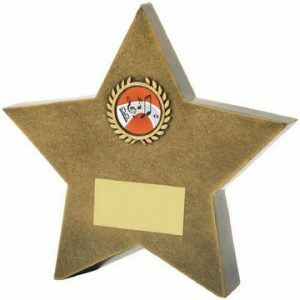 Many card awards also provide you with the chance to add a free centre image as indicated on the order page. 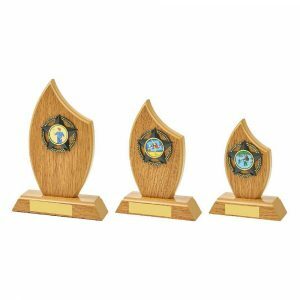 They’re all relevant to card playing so it gives you another reason to order safely, cheaply and securely from Challenge Trophies Online.